Christmas came early for the five daughters of Horace Williams, the man killed in a road rage incident last November. 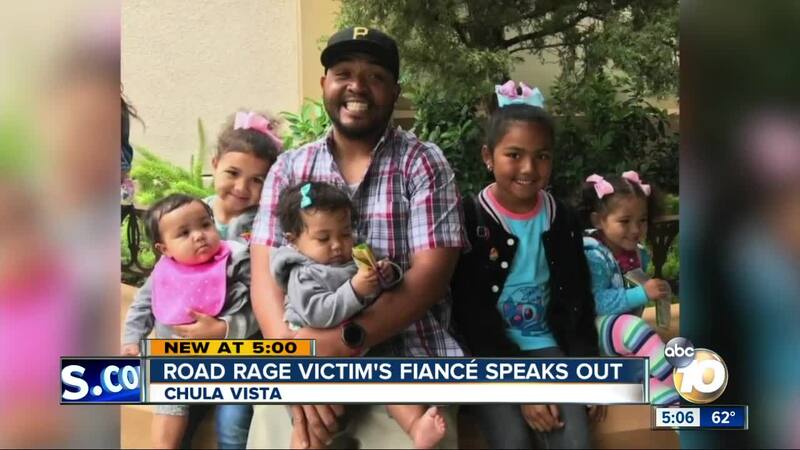 CHULA VISTA, Calif. (KGTV) - Community members came together to make sure Christmas would be special for a family who lost their father in a road rage incident. “I try to be as strong as I can for them because I want them to know they still have me,” Sasha Martinez said about her five young girls. In November, Horace Williams was stabbed to death in a road rage-related incident in Bonita. Williams had just dropped off his girls at school prior to the altercation with another driver. Martinez, Williams’ fiancée, chokes up when talking about what she misses most about the father of her children. On Sunday, community members organized an event for Williams’ daughters, complete with face-painting, arts and crafts, and an appearance by Santa Claus. Everything at the event was donated, including two tables overflowing with gifts for the girls to open on Christmas morning. “I just want them all to know that we are grateful. All the gifts that have been donated have been a huge help. We are honored that you have reached out and helped us the way you have,” Martinez said. Although she is thankful, Martinez said she would give it all back for just one thing. “Them coming out and helping us, but at the end of the day, I would change it all to have him back,” she said. A GoFundMe account has been established to help Williams’ family.